Attempts to establish an historically credible 'King' Arthur have, in fact, done little to aid the historical case for the 'Dark Age' leader. 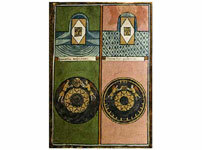 This can be seen most obviously within Morris' 1973 work, The Age of Arthur. Although undoubtedly a labour of love such gross misrepresentation and uncritical use of sources offers little insight either into the period as a whole or the alleged life of this most enigmatic of British heroes. Indeed even more scholarly approaches such as Alcock's Arthurian Britain fail to engage with early medieval history by attempting to correlate later propagandist literature with historical reality. Despite these warnings from past works, the same approaches may appear to have been used here. However, what follows is not an attempt to establish an historical Arthur. Rather than that, the purpose of this article is to highlight the origins of such tales and the context within which they were written. Although the possibility remains that Arthur never existed, his importance in the early medieval period should not be downplayed by scepticism and the dismissal of such a character by academia. Rather, understanding should be given as to where, why, and how a figure such as Arthur could originate. Therefore it is the principal purpose of this article to establish the 'real' Cornish connections regarding the Arthurian legends. 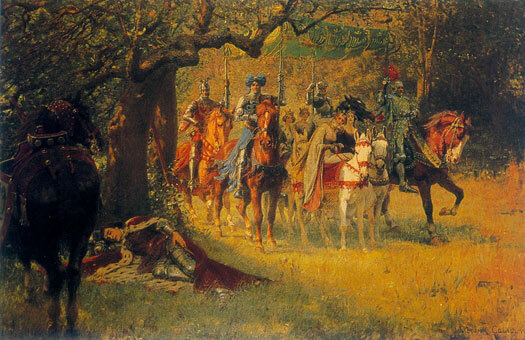 By highlighting the shift which took place in the medieval period this article will attempt to illustrate how the origins of the Arthurian legend were removed from their original geographical context. By doing so the context of the original traditions aligns itself more clearly with the historical realties underlying early medieval politics. This will principally be achieved by examining Geoffrey of Monmouth's History of the Kings of Britain and the Welsh traditions such as the ninth century court poetry, the Triads and Culhwych and Olwen. Both the Welsh and Anglo-Norman works associate Arthur heavily with Cornwall. This article will argue, however, that these connections are spurious and have misled those seeking the true origins of Arthur. A map of Dumnonia around AD 400 at the very dawn of what could be termed the 'Arthurian Era', by which time Dumnonia had probably extended the territory under its control to include the former lands of the Durotriges in neighbouring Dorset (click or tap on map to view full sized). Where was the real Cornwall? 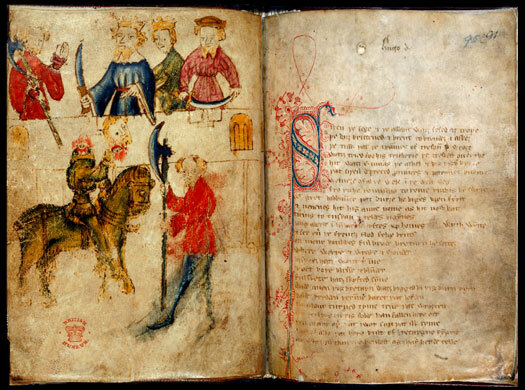 Geoffrey of Monmouth's elaborate tale of British history first appeared in 1139. Although denigrated by near contemporaries such as Gerald of Wales, its impact immensely increased the popularity of 'King' Arthur. 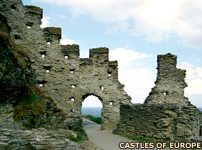 This was primarily achieved through the setting of Arthur's birth at Tintagel and the setting of the battle of Camlann in Cornwall. Due to these associations, Cornwall and the West Country have become indelibly connected with the Arthurian legends. This has had an impact upon academia, principally with Alcock's connection of South Cadbury with Arthur, itself an idea possibly originating with Leland. Moreover, associations between Bath and the siege of Mount Badon and Arthur's role in this historical conflict further cemented the south-west in Arthurian legend. Even more, other tales from the Arthurian cycle such as that of Tristan and Isolde have been located, by a mixture of evidence in the form of inscriptions and the benevolent enthusiasm of Arthurian devotees, in the south-west (the King Mark of the tale is placed in Cornwall). Undoubtedly the south-west was of significance in the post-Roman/early medieval period. Indeed there can be no refuting the real importance of Tintagel in this period. Excavation has recovered from Tintagel the largest amount of imported pottery from Britain in the post-Roman period. This has been established as a diplomatic gift from the Byzantine empire. It is unnecessary however, to conclude that the acceptance of such gifts meant that the ruler of Tintagel considered himself to be part of the Roman empire. 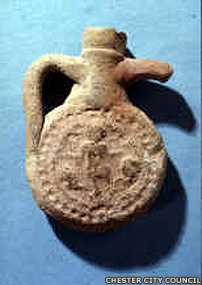 The important fact remains that Tintagel was the major importer of Mediterranean ceramics in the post-Roman period. Furthermore, the early to mid-sixth century Dumnonian ruler of this area and possibly of Tintagel itself, Constantine, was mentioned by Gildas in his attack on the kings of the Britons, indicating his fame during the mid-sixth century. Therefore the role of Cornwall in the Arthurian legend appears to have been of paramount importance. The possibility remains though that Geoffrey, although correct in his assignation of a (partly) Cornish identity for Arthur, was mistaken in his locating the hero in the south-west. Indeed there is some place name evidence to locate 'Cornwall' in this area such as the old name Durocornovis recorded by Ptolemy. However, the area under consideration was in reality known by another name entirely. 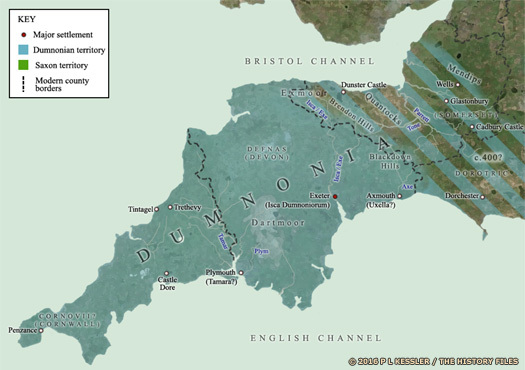 As recorded by Gildas, the name for the south-west region, including modern Cornwall, was the name derived from the Iron Age inhabitants of the region, the Dumnonii. Hence in the early Middle Ages the south-west was known as Dumnonia and the kings of the period identified themselves as such. That this area continued to be known as Dumnonia is indicated by later Anglo-Saxon writers. It only fell out of use when the kingdom of Wessex finally asserted itself in the south-west in the tenth century. It should be noted that Cornwall as an entity in any form did not exist in Arthur's time. The origins of the Cornovii tribe are uncertain, while the territory itself - plus Devon - were all part of the Dumnonian tribal lands and subsequent kingdom. 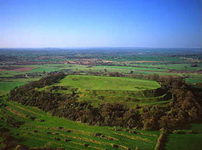 Cadbury Castle in Somerset - the site of Mount Badon? It was only around this time that the lands beyond the River Tamar were becoming known as Cornwall. Thanks to this, when writing his History of the Kings of Britain in the twelfth century, Geoffrey naturally located his tale in the only area known to him as Cornwall ['the Welsh of the horn' or tip of south-western England]. The Welsh traditions on which Geoffrey was presumably drawing are clear on Arthur's connections to Cernyw. Both the Triads and Culhwych and Olwen state that Arthur's principal seat was at 'Celli Wic in Cernyw'. Of course this has been taken to mean modern Cornwall. But given the other information contained in these traditions, particularly the genealogical and geographical, the suggestion is rather that Arthur was connected with North Wales and not the south-west. A 'Cornwall' of the north? However, as the medieval period developed and the name Cernyw was finally forgotten, the tales began to be located in the Cornwall as this was the only area known by that name. This memory of Cernyw lingers on in the collection known as the Thirteen Treasures of Britain. All of the treasures are thought to have belonged to leaders of northern Britain. In this list is 'The Mantle of Arthur in Cornwall'. Clearly modern Cornwall cannot be considered, in any way shape or form, to be in the north of Britain. This is circumstantially backed-up by evidence in old Welsh genealogical tracts in which a certain leader, Tudfwlch Corneu, is described as one of the 'Men of the North' whilst also belonging to Cernyw. This mistaken belief in the location of Cornwall has dramatically altered perceptions of the true origins of Arthur's Cornish connections. Why did Geoffrey and Welsh tradition assert these Cornish links? Furthermore, if we are to reject their associations with the south-west where should we seek the true origins of the 'Cornish' Arthur? Just as the name for the early medieval kingdom of Dumnonia has Iron Age roots so too does the name Cornwall have Iron Age associations of its own. During both the Iron Age and the Roman period in Britain the people living in this area described themselves and were known as the Cornovii. It was only in the early medieval period that this region began to be known by another name entirely. Powys was one of the most powerful of the Welsh kingdoms throughout the medieval period. Despite its later frontier location it existed as a political unit that was governed by its own native dynasty right up until the conquests of Edward I in the thirteenth century. It is within this kingdom that the true Cornish Arthur is to be found. The name Powys as used for a description of this area originated in the early medieval period, possibly in the late fifth century when Powys may have extended well into the west Midlands. The change in name from Cornovii to Powys has then obscured the true 'Cornish' origins of Arthur. Indeed the term 'powis' is in actuality not confined to this area of Britain. It has not gained such prominence in these other areas, though. The origin of the term 'powis' lies in the Latin word 'paganses' which can mean 'people of the rural districts'. In a broader context this meaning can be extended to mean 'frontier' (as was later the case for Welsh Powys). Indeed this would be relevant to the position of Cornovii in the fifth century where their security was threatened, not by marauding Anglo-Saxons, but Irish incursions to the west. Possibly 'powis' could appear as a term of military usage used to describe a frontier region. This would be appropriate for what is known of the Cornovii. Not only was the legionary fortress at Chester established in their territory but, since the time of Emperor Hadrian, veterans had been settled in the tribal lands. The militaristic nature of the settlement was borne out in later developments. In fact it can be argued that the west Midlands remained Brythonic for quite some time after its Mercian takeover, as shown in Mercia's British Alliance. The late fourth and early fifth century document known as the Notitia Dignitatum contains notice of an auxiliary unit stationed at Pons Aelius, modern Newcastle, at the eastern end of Hadrian's Wall. This unit, known as the Cohors Primae Cornoviorum, was the only British unit known to have served within its own province. Therefore this unit was, presumably, held in high regard by the military authorities. Although a tradition of their Roman origin may have been kept alive, by the fifth century these men would have been just as much Britons as they were 'Roman', hence the name Cornoviorum assigned to them. The other occurrences of 'powis' place-names indicate, given their locations, similar meaning and context. Significantly, both these other occurrences are in territory which was controlled by Britons but on land which possibly could be described as frontiers. In modern Scotland, near Stirling in the territory of the Manau Gododdin, is Powis Mains Farm. Other field and boundary locations in this area, including the Powis Burn a small stream, bear witness to the 'powis' name. The name Dumyat, the 'fort of the Maetae' located in the hills nearby illustrates the border nature of the area and gives context to the term 'powis'. The Picts (or northern Britons as they truly were), were a real threat to late Roman Britain and it is likely that the northern sector of the Gododdin (buffer) territory would have been involved in repelling these raiders. 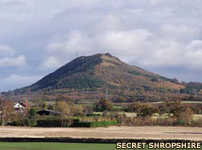 Similarly the term 'powis' occurs at the former Roman fort of Kirby Thore. No archaeological evidence survives to suggest that this fort was re-established in a manner similar to Birdoswald. However, the Notitia Dignitatum lists the late fourth/early fifth century unit that was posted here as the Numerus Defensorum, the 'Defensive Squadron', indicating the prolonged use of the site. It is possible this area was a frontier location in the fifth and sixth centuries. 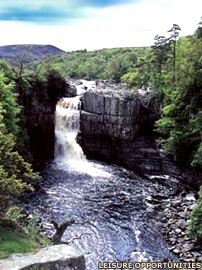 Certainly the Bowes Pass which rises up over the Pennines connecting east and west was a strategic location. Indeed the heroic literature of the Britons suggests the Anglian centre at Catterick mentioned by Bede was important. Both the Gododdin and the Book of Taliesin acknowledged the importance of Catterick. Although the historical reliability of these sources is debateable, the occurrence of the place as a site to be fought over suggests it held significance at this date. Whether facing rival Brythonic kingdoms or nascent Anglo-Saxon territories, the western end of the Bowes Pass was an important location. Indeed the pass may have connected two kingdoms and could therefore be considered to be a frontier. As can be seen, the name 'powis' is again associated with a border territory but this time it has no tribal or dynastic connections. Moreover, 'powis' occurs in primarily military contexts; certainly the north was a military province and Stirling was a vital strategic hub. These uses tie in the name for the territory in Wales indicating its true meaning. The Pennines form one of Britain's most outstanding natural beauty spots, but the region, known as the backbone of England, was also a major factor in defending the British kingdoms against Angle attacks in the sixth and seventh centuries. In truth, the kings of Northumbria probably never entirely conquered it, with strong Celtic elements remaining in place well after they assumed control. Clearly the occurrence of 'powis' names in these areas has nothing to do with the Cornovii. This indicates that the creation of Powys as a name for the early medieval kingdom was a construct borne out of necessity and as a reflection of current political and military circumstances. This does not mean that the inhabitants of these areas were all using this term. Certainly a term used by, perhaps, the nobility alone would take time to become established. That the people of the area still identified themselves as the Cornovii is evident from the court poetry attributed to Taliesin and Llywarch Hen. Indeed, the court poetry, even when assigned a ninth century date, strengthens the case for the lasting significance of the name Cornovii as a descriptive term for the land and people of the area, rather than weakening it. By the ninth century if the term Cornovii had no meaning or significance even as a way to connect with the heroic past, its use would be superfluous. By the ninth century Cornovii had been adapted to Cernyw. The use of Cernyw appears in the poem in praise to Cynan Garwyn, a sixth century ruler of Powys where 'Let Cernyw Greet' occurs. 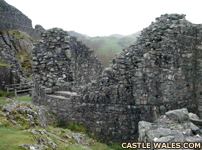 Further links are established in the poems which lament the seventh century king of Powys, Cynddylan ap Cyndrwynyn. Cynddylan and his brothers were said to be the 'young whelps of great Arthur'. Perhaps this is intended to mean they inherited his martial prowess. Certainly the poem acknowledges Cynddylan's father as Cyndrwynyn. Therefore this phrase must have an oblique meaning. Interestingly Arthur may, like Cynddylan, have connections to the small kingdom of Dogfeilion. Cynddylan is ascribed to have been originally from this territory before he gained the throne of Powys. The tale of Arthur's quarrel with Huail, son of Caw, king of Edeyrnion, suggests that Arthur may have held territory around the fort at Caerwys. Of course this is speculation rather than argument based on solid evidence. Even so, it suggests that the author of the poem was aware of the Arthurian associations both of the Cornovii and those of the kingdom of Dogfeilion. The information regarding the Thirteen Treasures and Tudfwlch Corneu are both in association with information regarding the Gwyr y Gogledd (the 'Men of the North'). Perhaps however, the ancient tribal lands of the Cornovii could just possibly be described as being in the north. Certainly these cannot be thought of as referring to Britain's south-west peninsula. Therefore, during the fifth and sixth centuries - the period of Arthur - the true 'Cornwall' lay not in the remote south-west but rather where the Cornovii had been existence for hundreds of years, in England's Midlands and along the borders of Wales. After the decline of Roman administrative rule in Britain and the withdrawal of troops to support various usurpers, the Cornovii may have maintained a military tradition not held by other lowland tribes. The term 'powis' can be seen then to be an appropriate piece of military nomenclature used to describe a frontier. However, at this early stage, although the territory may have begun to be styled Powys it had not appropriated any 'ethnic' connotations. Furthermore if the territory assigned the name 'powis' originally only meant the western portion facing the Irish territories then the remainder of Cornovian lands may well have retained their original name far longer than we are able to assess. Therefore, the idea that a military leader should emerge from this tribe is not inherently unlikely. We do not have to necessitate that this be Arthur. However, it would be entirely appropriate to the kingdom's idealised view of itself that such a hero could originate from within their ranks. Certainly this would have been necessary following Powys' decline and loss of territory to the Mercians. Therefore the Arthur figure may appear as a figure of the heroic past and the days of Cornovian glory. Text copyright © Edwin Hustwit. An original feature for the History Files.